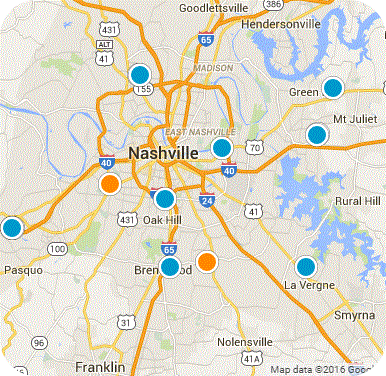 West Nashville homes can be found in the 37209 and 37218 zip codes. Real estate in West Nashville ranges from perfectly priced starter homes to new construction with vintage flair, renovated 1950s classic ranch homes and beautiful executive homes in Sylvan Park. or to schedule a tour of any property you find on this site. 615.797.8257.